7.15 AM Departure from the hotel by jeep accompanied by a specialized guide until you reach the town of Nueva Isabel, belonging to the town of Ramón de las Yaguas, where the ruins of the Fraternidad estate are located. You will be able to enjoy the rural surroundings observing the nature and the coffee-growing environment according to the season and the stage of the productive process, as well as the way of animated life of the inhabitants in their routine. 9:30 AM Arrival at the fraternity coffee plantation. Appreciation of the various restoration and rehabilitation works that currently occur in the ruin. Exchange with archaeologists. Enjoy the landscape and the different visuals to the farm, as well as to the plateau of Santa María del Loreto. Photo shooting. Fraternity (dike used by the French to store the water they used in the agro-industrial process). 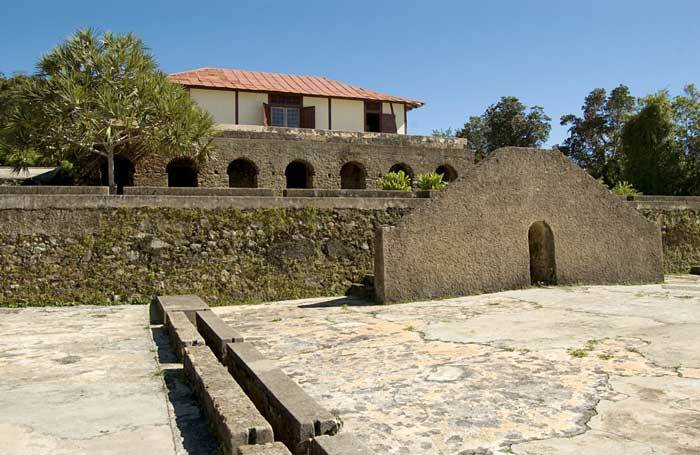 In Santa Paulina you can observe the use of the terraces, adapting to the conditions of the land, allowing to establish a comparison between the different construction styles of the French settlers. Time of Photos and admiration of the landscape conformed by gallery Forests, cultural vegetation and crosses of rivers. 10:45 AM Continue the 500m jeep to the Llano de San Felipe, where a mule ride or 1,2 km hike begins to the Ruins of the San Luis de Jacas coffee plantation, a settlement that consists of a majestic hydraulic system that rests over 28 carpanel type arches. Time for photos and enjoy the landscape. 11:45 AM Continue uphill for approximately 1.3 km to the ruins of the San Juan coffee plantation in Scotland. Customers will visit a coffee plantation belonging to the CCS Las Yaguas, where they can observe the coffee varieties of the area. In San Juan de Escocia you will have unparalleled visuals of the area, you will also see amazing flower boxes with walls that recreate various geometric shapes. Time for photos and enjoy the landscape. 12:30 AM Start descent approximately 2.5 km to the Llano de San Felipe. 1:15 PM Return of 6.3 km by jeep to the town of La Lucía. 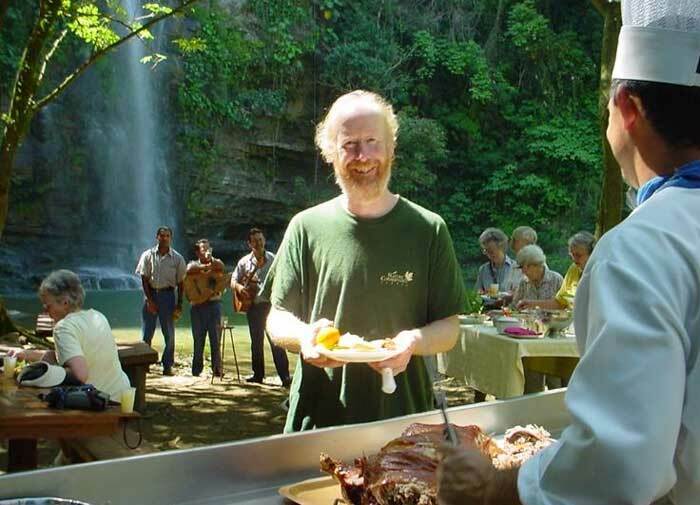 1:45 PM Enjoy a country lunch prepared with products from the area in the town of La Lucía; enlivened with local talent from the Ramón community. 3:00 PM Bath in the Baconao River, in the town of La Lucía. Rest and bath time (45 min). 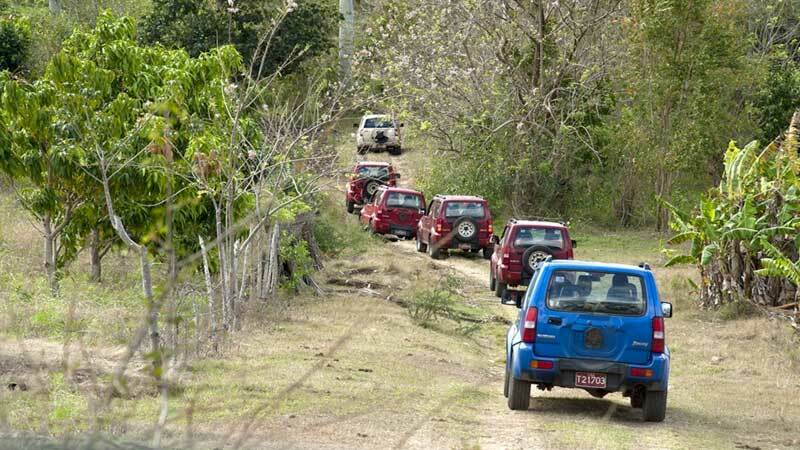 3:45 PM Departure by jeep to Yerba de Guinea and continue 36 km to the Entronque del Cristo on the National Highway. 5:15 PM Continue with destination to the Gran Piedra Protected Natural Landscape; where 111 of the 171 ruins of French coffee plantations that make up the Archaeological Landscape of the first coffee plantations in the Southeast of Cuba are located, declared by UNESCO World Heritage in 2000 in the category of Cultural Landscape. 5:40 PM Ascent of 14 km by jeep through the road complex that leads to La Gran Piedra. There will be a stop at the natural viewpoint Juan Morales located at km 11.5, which has excellent visuals for lovers of landscape photography. 6:10 PM Arrival at the Gran Piedra Hotel. Cozy welcome in the courtyard of the hotel with the offer of fruits and natural juices. 6:30 PM Check in and transfer to the rooms. 7:00 PM Realization of the Coffee Ritual in the patio of the hotel (45 min). 8:30 PM Dinner in the hotel courtyard with menu and themed atmosphere. 9:30 PM Recreational show with artists from the area. 7:30 AM Breakfast at Hotel Villa La Gran Piedra. 8:15 AM It will be promoted through a self-guided trail consisting of 454 steps to the Natural Viewpoint "Gran Piedra". This site is one of the most beautiful natural sites in the area known as "the colossus among the clouds"; which is recorded in the Guinness Record book as the rock of its largest size in the world (1225 masl) and the third largest in the world. The visitor will be able to enjoy a landscape with a peculiar beauty where the existing microclimate, the high degree of endemism, the varieties of ferns, orchids, mosses, the fauna that surrounds it, as well as the 360 ​​degree visual that it offers make it a unique attraction of its kind. 9:15 AM Downhill will be made along the road that leads to the community. 9:25 AM Transfer by jeep to the Museum "La Isabelica", First Museum founded after the triumph of the Cuban Revolution on May 18, 1961 and National Monument. On this site you can see elements of the original set such as the manor house, the warehouse, the kitchen, the drying rooms, the tahona, among others. 10:15 AM Visit to the ruins of the old French hacienda La Siberia, now the Garden of ornamental plants "Ave del Paraíso". It will be seen that most of the nurseries where the plants are kept the original walls and stairs of the old hacienda. Agrotourism activities will be carried out depending on the period in which it is considered as: stonemason preparation, organic amendment, planting of postures, watering, pruning, stonemason cleaning and care of the plants. 11:45 PM Return to the hotel by jeep. 1:00 PM Creole lunch in the restaurant of the Villa. 3:00 PM Return to the city of Santiago de Cuba. 4.30 PM Enjoy the participative show of the French Tumba: La Caridad de Oriente. Protected Area of ​​Managed Resources Baconao Biosphere Reserve.